The American Advertising Federation's national conference, also known as ADmerica!, was held June 5-8 at the Arizona Biltmore in Phoenix. AAF Seattle board members Renee Peterson, George Riddell, Martin McGee, Luis Antezana, and Audrey Berglund represented our club, which won a Club Achievement Award for winning the Division III ADDY Challenge. Our own George Riddell impressed while performing his duties as National ADDY Chair. And Eric Weaver of Spring Creek Group led a panel of experts in the social media panel. All in all a tremendous few days of learning and interacting with our AAF brethren from District 11, Western Region, and around the nation. The National ADDY Awards were held June 8th, with Keith Rivers and Eli Martin of Workhouse Creative, Keith Goldberg of Rally, and GreenRubino in the house to pick up their National ADDY Awards. Creature, Wong, Doody, Crandall, Weiner and Cole & Weber United also won National ADDYs for their work. Full list of winners here. ADmerica was especially gratifying for me this year because of the large AAF Seattle contingent that attended the conference. Having such strong Ad Club representation meant that more club leaders are gaining the benefit of networking with clubs from other markets, and participating in professional development programs offered by the AAF. The group also spent time together looking ahead to the coming year for AAF Seattle. The experience should provide great momentum for an exciting year of Ad Club activities in Seattle. One of the sessions I attended at the AAF National Conference focused on one of the key benefits AAF provides to our members and the advertising industry in general -- Government Affairs. AAF champions causes at the local, state and federal level that impact advertising including the critical issue of allowing advertising services to remain tax deductible as a business expense. Various clubs around the country presented ideas they implemented to work with elected officials both during their campaign and while in office. AAF Seattle will be exploring ways to apply some of these ideas to our region in the future. This being my first AAF national conference, I was impressed by the breadth of the community of creative professionals that care so much about the health of our industry and work to ensure its viability and high standards. This organization works more in the background than they probably realize, as I had no idea all that was involved in what they do. As would be expected, along with a lot of work came a decent bit of fun after hours, sealing new and old relationships. I was proud to represent our city and our club, to have our board make a great showing, and to have so many agency people along with us. The members of AAF Seattle should know we stack up well against any other city! 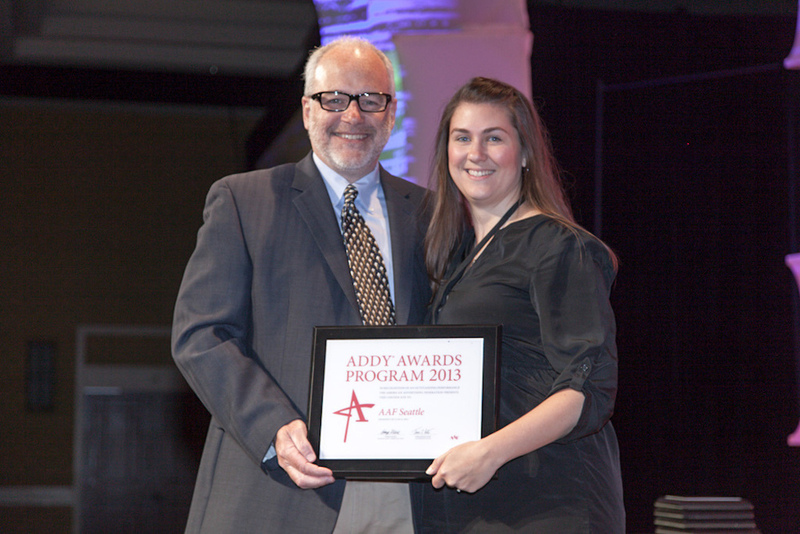 Check out AAF National's ADmerica photo set for more pics from the big event.